Warning: Both iPod Nano and iPod Classic don't support Apple Music files, even you have converted Apple Music files, you can sync them to your iPod devices, unless your iPod is iPod Shuffle or iPod Touch, you can follow the guide to convert them and sync. Later days, Michael asked that he can download Apple Music to his iTunes, but he can't sync them to his iPod Shuffle, why? You can listen the millions of songs from Apple Music, and even download them so as to listen offline on iPhone, iPad or iPod Touch. But all the iTunes Apple Music are streaming, in other words, you can play and transfer the downloaded Apple Music files on iPod Nano and Shuffle. And Apple.com said that Apple Music is not available on iPod nano and iPod shuffle. Here we will talk how to convert Apple Music to iPod and make them available on iPod nano and iPod shuffle. 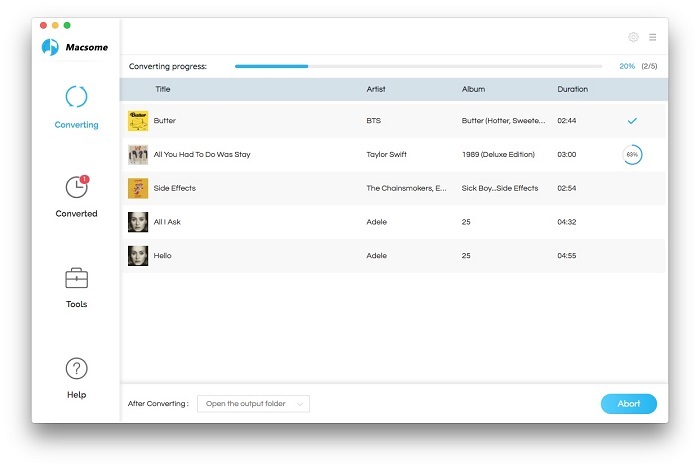 First, just free download Apple Music Converter Mac Version or Windows Version on your computer. You know, for the streaming music service – Apple Music with DRM limited, the whole Apple Music playlist can't be transferred correctly. 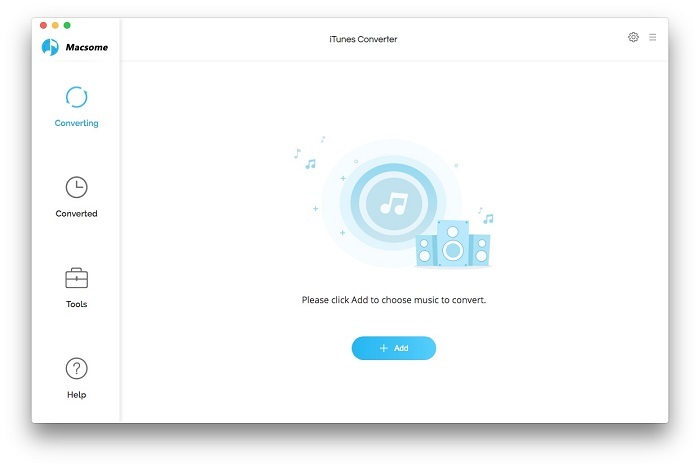 We need Apple Music converter to remove Apple Music's DRM and convert to MP3, AAC, FLAC and other audio format, and then users can transfer converted local music files to iPod Nano and iPod Shuffle easily and quickly. 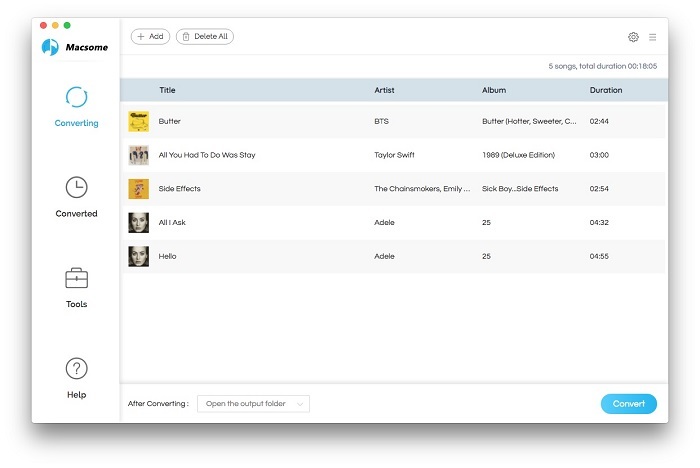 Second, Double click to install the Apple Music Converter, and run it. Here we take the Mac version for example. Third, click the + button, and then choose the downloaded Apple Music files to the filelist. And select the file you want, click OK, and then all files you selected will be listed on the main window. 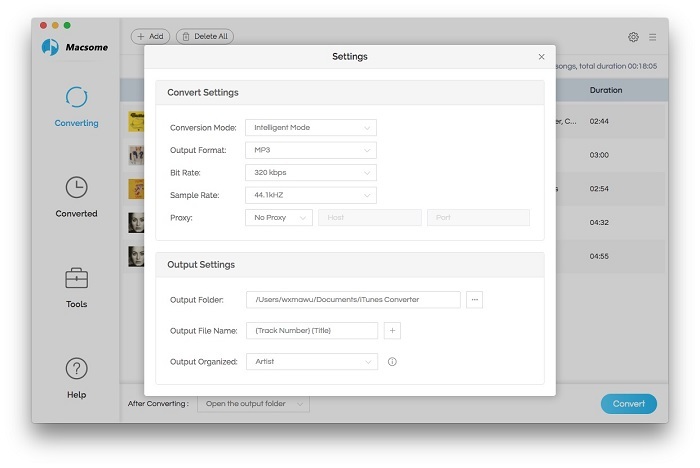 Moreover, click Setting button to set the output format and output path before the conversion as your need. Finally, click the CONVERT button, and then start Apple music to MP3 converting. After the conversion, you can find the converted files through show in the Finder, and then use iTunes to sync the converted music files to your iPod Nano or Shuffle as you like.